At Back to Health Wellness Centre, there are many different treatments and services available. We are highlighting these in this month’s newsletter. Read on and enjoy! 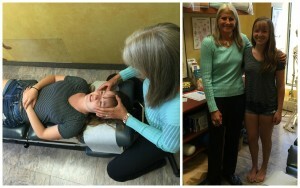 Cranial adjusting turner style (C.A.T.S) is scientifically and neurologically designed to address cranial misalignments. These misalignments can interfere with nerve, cerebral spinal fluid, and blood supply to the brain, which can also exert extra pressure on the brain, interfering with the brain’s nutrient and oxygen supply causing pain and altered functions. Dr. Barbara Rodwin is able to use the CATS technique to detect and correct any cranial misalignments, including concussions, head trauma, post-concussive syndrome, headaches, migraines, sinus issues, and many more problems resulting from misalignments. For anyone suffering from any of these issues or for anyone concerned they may be suffering from cranial misalignments, Dr. Rodwin can assess and provide treatment in order to remedy discomfort. Who Can Benefit from C.A.T.S? Individuals who have Jaw problems, Migraines, Headaches, Attention Deficit Disorder, Fibromyalgia, Premature Aging, Asthma, Post-Concussion Syndrome, Allergies, Learning Difficulties, Seizures, Autism, Learning Disabilities, Sports injuries, Chronic Fatigue, Insomnia, Dyslexia and Sinus problems can all benefit from the cranial adjusting technique. Head injuries can be the result of falls (slip and fall on the ice, learning to walk, falling down stairs or falling from beds), blows to the head (hitting you head on the cupboard, trunk of car, punches, or kicks), sports injuries or car accidents. Even in birth and infancy there can be certain incidents that affect the skull’s alignment. Any individual who has suffered from a head injury or trauma should have themselves examined for any bone misalignments. Certain health problems seem unrelated to bone misalignments, yet they can still be the result of a head injury or trauma. Check out the video above to see how 18-year-old patient Amanda Byrne was finally able to find some relief with C.A.T.S.! Amanda- Byrne suffers from multiple concussions. She receives the Cranial Adjusting Turner Style from Dr. Rodwin for this. Dr. Rodwin also provides her with key supplements to help her brain healing process. 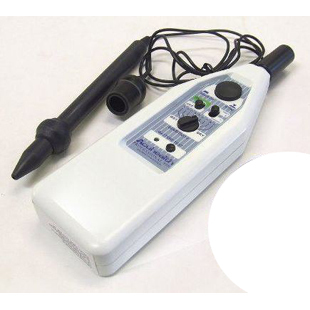 The activator method utilizes a hand-held instrument referred to as an activator. This instrument delivers a precise adjustment with consistent velocity. The activator may be used on any joint, however it is particularly useful in treating the smaller joints of the hands and feet. The activator method is also a good alternative for people who are sensitive to being touched, or for those with osteoporosis or arthritis. Pelvic blocks are triangular-shaped devices that are used to relax pelvic ligaments and induce pelvic rotation. These blocks are placed underneath the pelvis while the patient is lying down for a determined amount of time. This procedure will help to reduce any pelvic unlevelling and associated low back pain. Pelvic drop pieces are sections of the chiropractic table that have the capability of elevating and dropping with the adjustment. This technique allows for increased velocity in the adjustment and greater motion induced into the joint. Pelvic drop pieces help to restore motion in the pelvis and reduce any pelvic unlevelling and associated back pain. 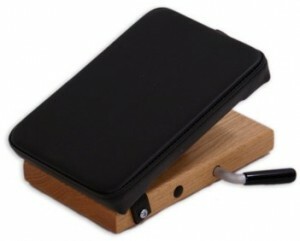 Toggle boards are devices that are used to complement a chiropractic adjustment. The boards are 5.5″ by 8.5″ and are most often used to help induce motion into the joints of the ankles, feet, and knees. The boards are placed under the joint to be adjusted. The device is raised up and then released during an adjustment. This helps to restore a wider range of motion in the joint. Dr. Barbara Rodwin has a small laser unit that when used on the sinuses, ankles sprains, allergy issues and many other conditions she is able to aid in healing! The unit is placed on acupuncture points and the pulse is sent into the region. The patient does not feel anything as the pulse goes into the body, the pulse then aids in healing the region. The laser unit makes a small buzzing noise during the treatment. ASK Dr. Rodwin how this works! Trigger point therapy is a bodywork technique first developed by Dr. Janet Travell in the USA in the 1940’s. Trigger Point therapy involves applying pressure to tender muscle tissue in order to relieve pain and dysfunction in other parts of the body. Trigger point therapy is also called myofascial trigger point therapy. Muscle knots are an example of this phenomenon. Trigger points refer to the areas of tenderness in a muscle. There are two basic types of trigger points: active and latent. Active trigger points cause muscular pain. Active points will often refer pain and tenderness to another area of the body when pressure is applied. Latent trigger point’s only exhibit pain when compressed, they do not refer pain to other areas of the body. Latent trigger points are likely to be one of the causes of stiff joints and restricted range of motion. 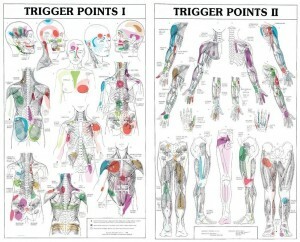 Trigger points are different from acupressure points. Acupressure points are concentrations of energy or blockages of the body’s energy pathways. Trigger points are physical phenomena that can be felt by touching. Trigger points have several causes. Some common causes are: birth trauma, an injury sustained in a fall or accident, poor posture, or overexertion. What is the Purpose of Trigger Point Therapy? The purpose of trigger point therapy is to eliminate pain and to re-educate the muscles to perform pain-free habits. After several treatments, the swelling and stiffness of neuromuscular pain is reduced. Range of motion is increased, tension is relieved, and circulation, flexibility and coordination are improved. Interestingly, the pain caused by trigger points is an especially significant cause of disability and loss of time in the workplace. Trigger point therapy and other massage technique are often performed together within a treatment. Specialists in trigger point therapy can help you improve your natural ability to maintain an active lifestyle. Proprioceptive Neuromuscular Facilitation (PNF) is a form of stretching that uses an isometric contraction (a voluntary contraction in which no joint movement occurs and muscle length is unchanged). It is done prior to the stretch to achieve greater gains than from stretching alone. Dramatic gains in flexibility are possible in a very short time with this technique, due to the creative use of a few neurological mechanisms to optimize a muscle’s ability to lengthen. PNF is based on several neurophysiological mechanisms. One such mechanism is the Golgi tendon organs (GTOs) which work to relax a muscle. The Golgi tendon organs are located in the muscle tendon and monitor the amount of strain on the tendon. Strain develops in the tendon when the muscle contracts and is pulled on. Theoretically, if too much load or strain is put on the muscle, the inverse stretch reflex, mediated by the GTO’s, should cause it to relax. Strain is also sensed by the GTOs when the muscle is stretched, because the tendon is once again being pulled. When a muscle stretch is held, the pull on the tendons should stimulate the GTOs and cause the muscle to relax and lengthen further to reduce the chances of muscle tearing. PNF techniques were developed as patterns of movement to increase strength, coordination, and flexibility through entire ranges of motion. PNF stretching is not meant to replace the daily stretching routine that every person should already have in place. PNF is used to make quick gains in range of motion and flexibility, and daily stretching is important to maintain these gains. 1. The muscle is lengthened to its maximal pain-free end of range. For example, if Dr. Rodwin wants to stretch the hamstring, she will have you lie on your back and will actively lift your leg as high as possible, keeping the knee straight. This stretches the hamstrings to its end of range. 2. Dr. Rodwin will position his/herself to act as the resistance so that you can gently contract the muscle against this resistance. 3. You will then actively contract (push) the muscle against the resistance that Dr. Rodwin applies. The contraction should begin gradually and build to 50% to 100% of maximum force, in a controlled manner. Muscles need oxygen to work properly, so you should to continue to breathe during the stretch. The contraction is held for approximately 6 seconds. 4. You will then relax and continue to breathe. Your muscle will be held in the relaxed position for several seconds. 5. Your muscles can now be put into a deeper stretch. Do not push to deepen the stretch. The muscles will easily move into this new position and the Dr. or therapist will have you go through steps 3 and 4 again. 6. 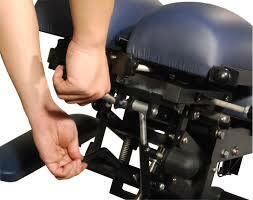 Each time this is performed the muscle will be lengthened a bit further. Acupuncture can be a very effective solution when treating many different problems. It works by increasing the circulation to the area and decreasing inflammation. Secondly, acupuncture stimulates regrowth of the cells and tissues in an injured area. And also, it helps to reduce pain by activating opioid systems in the brain that respond to pain. Sometimes in pain conditions, the central nervous system remembers the pain, even if the injury is healed. Acupuncture helps to reteach the brain and nervous system to be healthy again. The acupuncture needles are inserted into meridian points associated with the condition a patient has. The needles are very fine. The needle is thinner than your hair diameter! Dr. Barbara Rodwin has treated: Ankles sprains, shin splints, Ilio-tibial band problems, Osteo-Arthritis of different joints, Patello-femoral syndrome, hip problems, Sciatica, lower back problems, rotator cuff issues, golfer’s elbow, tennis elbow, carpal tunnel syndrome, headaches, migraines, neck problems. Also: pre-menstrual syndrome, immune system problems, depression/anxiety, colds, flu, rheumatoid arthritis, and other arthritic conditions. There are fewer adverse effects associated with acupuncture than with many standard drug treatments (such as anti-inflammatory medication and steroid injections) used to manage painful musculoskeletal conditions. Brian Berman, M.D., director of the University of Maryland Center for Integrative Medicine in Baltimore, confirmed that acupuncture is definitely becoming a more popular treatment option for North Americans. “There is more evidence coming out showing acupuncture is safe and often effective and should be considered as part of a multidisciplinary approach for chronic pain,” he said. Are you a candidate for Acupuncture on your hip or knee? Several studies have been done to test the efficacy of acupuncture in treatment of hip pain. A randomized, controlled study of 3,633 osteoarthritis patients, published in the November 2006 issue of Arthritis & Rheumatism, assessed the effectiveness of acupuncture along with routine care compared to routine care alone in patients with osteoarthritis of the hip or knee joints. Patients who received acupuncture with the routine care improved markedly compared to patients who only received routine care. Patients were randomly assigned to receive up to 15 acupuncture treatments in a 3-month period versus a control group that received no acupuncture. Some patients who did not agree to be randomly assigned also received acupuncture. The randomized and non-randomized acupuncture patients showed significant improvement in symptoms at three months and the improvement was maintained at 6 months compared to patients not receiving acupuncture. Quality of life also improved in the acupuncture group. The Graston Technique® incorporates a form of instrument-assisted soft tissue mobilization that enables trained clinicians to effectively detect and treat scar tissue and restrictions that affect normal function. Scar tissue limits range of motion, and in many instances causes pain, which prevents the patient from functioning as he or she did before the injury. 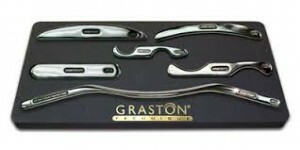 The Graston Technique® instruments are used to enhance the clinician’s ability to detect adhesions, scar tissue or restrictions in the affected areas. Skilled clinicians use the stainless steel instruments to comb over and “catch” on fibrotic tissue, which immediately identifies the areas of restriction. Once the tissue has been identified, the instruments are used to break up the scar tissue so it can be absorbed by the body. What kind of results does Graston Technique® produce? Historically, the Graston Technique® has had positive outcomes in 75–90 percent of all conditions treated. It is equally effective in restoring function to acute and chronic injuries, and pre- and postsurgical patients. 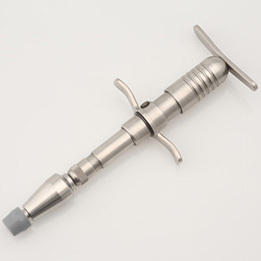 Only clinicians who have been trained and accredited in the Graston Technique® Basic course are qualified to obtain the Graston Technique® instruments and apply the technique to treat patients. The course is offered either on-site or at trainings offered throughout the year at a variety of locations. Lymphatic drainage massage helps to allow our body’s natural drainage and pump system to function at its best, helping to decrease our pain and heal us easier and faster. It’s also important because our lymphatic system can become backlogged from the mechanical stress imposed by an injury. Lymphatic drainage massage helps to take some of the pressure off the lymphatic system. Think of the drain in your bathtub getting clogged with hair; in essence, lymphatic drainage massage unclogs the drain and allows the water to resume draining naturally. It is always good to prepare self-care plan in case of an accident. Injuries are unpredictable, but how you choose to plan your recovery is up to you. Recover faster and return to your activities with the help of one of the Back to Health Registered Massage Therapists. Chronic sinusitis affects over 40 million Americans a year. It is the most common chronic condition in the United States today. Bacteria, fungi, viruses, protozoa and environmental conditions, such as molds, can cause sinusitis. It is important to combine a number of suggestions to aid in resolving issues with the sinuses and the lymph system. Lymphatic acupressure, acupuncture and the laser are methods used to stimulate specific Lymphatic nodes by breaking the particles which then activates the entire lymphatic system. Treatment with acupuncture can aid in re-routing the lymph flow around blocked areas into more centrally located lymph vessels or gently clears the congestion of the lymph vessels and nodes that eventually drain into the venous system. The use of a combination of any of these methods will encourage the body’s lymph fluid to drain to the major lymph node stations within the body to stimulate the detoxification and purge of the body retained fluids. 1. Athletes can accelerate the removal of lactic acid from their muscles, and have faster recovery from strenuous competitions, work outs and training. 2. Surgery patients can accelerate the reduction of swelling, pain, bruising, infections, and speed up the healing process. Cancer patients can benefit from these treatments. 3. Allergy sufferers can reduce the frequency of reactions and headaches. 4. Everyone can improve digestive and colon health, reduce water retention and edema (swelling), have healthier looking skin, and improve overall health. By getting regular lymphatic treatments, the immune system is boosted. Keeping the body clean leaves less debris for microorganisms to attach to and invade the body as a virus. It is like cleaning food crumbs off of the kitchen counter to keep away the bugs! If you have any questions about these treatments feel free to ask Dr. Barbara Rodwin, Doctor of Chiropractic or our Naturopathic Doctor! Many of our patients have been asking lately, what exactly is Cupping Therapy? Cupping is a technique that involves the application of glass or plastic “cups” to the surface of the skin. A gentle suction is applied to the cups to create a vacuum which draws the skin, small blood vessels, muscle and connective tissue into the cup. At Back to Health Wellness, our Naturopathic Doctor and one of our Registered Massage Therapists use it typically in a “sliding” technique with oil applied to the skin to allow the cup to “glide” up and down the length of a muscle. This functions to relieve muscle tension by stretching and loosening the muscle and connective tissue, while increasing blood flow and draining the lymphatic vessels to bring nutrients and drain wastes from the area. This technique has been found to be extremely useful in acute or chronic muscle tension, IT band syndrome, shin splints and Achilles tendonitis, plantar fasciitis, and has been used most recently by our very own Dr. Rodwin with great success. Derived from Chinese Medicine, Cupping Therapy is used to “relieve stagnation” and allow for “qi” and blood to flow freely throughout the body’s 12 meridians. In the video above cupping therapy is explained and DEMONSTRATED! If you’d like to learn more or try a treatment, email our Naturopath for more information: naturopath@back2health4you.com or book a visit by calling 613-237-3306. For any further questions or if you want to book an appointment with our Naturopathic Doctor feel free to call us at our clinic. *Note: Unless otherwise listed, all routine bloodwork is performed at Gamma Dynacare Labs and includes a baseline $15 collection fee. specialized lab in California which focuses primarily on Lyme disease assessment. Please book an appointment with our Naturopathic Doctor if you wish to discuss having one of the bloodwork assessments. Would you like to know what your DNA says about you and what your risks may be for any number of conditions and illnesses? The more you know about your DNA, the more you know about yourself! Please speak to Dr. Barbara Rodwin to find out more and be referred for genetic testing.